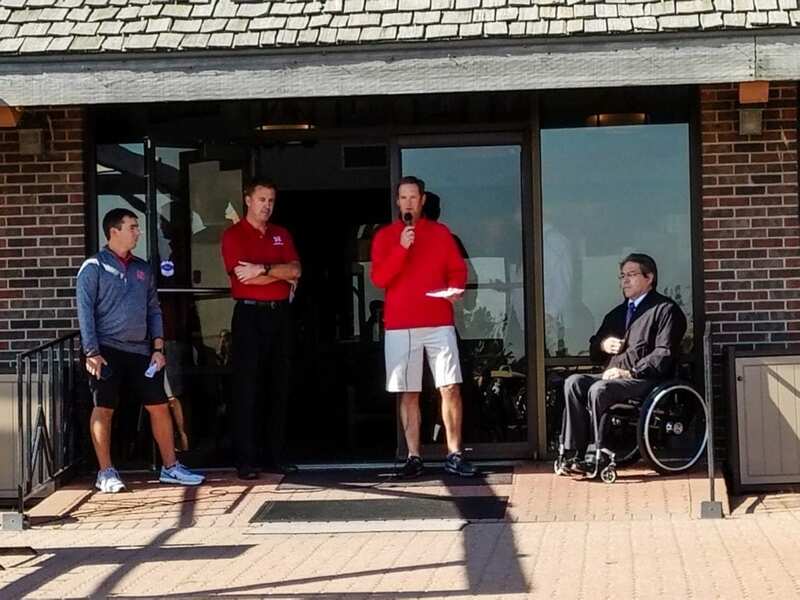 Schemmer's President and CEO Steve Kathol, P.E., S.E., spoke at the 22nd Annual Nebraska Engineering Golf Scramble about the ACE Mentor Program of Greater Omaha on Thursday, October 12th, 2017. ACE Mentor Program was a special guest at the tournament. Several representatives of ACE Mentor Program also participated in the outing both as players and helpers. ACE Mentor Program is a nationally-recognized mentoring program whose mission is to inspire high school students to pursue careers in architecture, construction and engineering. Schemmer's Molly Macklin, Assoc. AIA, design professional, also serves as a mentor. High school students in teams of 15-25 work with industry professionals from leading area firms on designs of real-world, multi-disciplinary projects. The teams work in the classroom with their mentors, tour local construction sites, and visit architectural, engineering and construction company offices. The Omaha affiliate was officially established in the summer of 2016 and has made great progress in its first two years. Students are provided the opportunity to learn about great careers in the industry through exposure to a real-world project, form positive relationships with their mentors who can provide important references, and are given opportunities for scholarships. In its second year, the Omaha affiliate expects to award $20,000+ in scholarships. ACE Mentors are able to give back to their community in a meaningful and significant way. The Nebraska Engineering Golf Scramble was held at Indian Creek Golf Club in Elkhorn, NE. Players consisted of College of Engineering alumni, faculty, staff, students and business associates.